With worries about climate change, increases in the cost of living and growing awareness regarding the damaging use of pesticides and chemicals in our food, there’s never been a better time to pull on some wellies and start organic gardening. It can seem like a daunting task but if you’re ready and willing it can be quite simple. The best soil, and the kind you’re aiming for, is an airy loam or well-draining soil that’s the perfect mix of sand, silt, clay, and compost. Most garden soil is either sand or clay heavy. To determine which one you have, grab a handful of soil and form it into a tight ball. If it holds together, it’s clay, if it falls apart its sand. You may need to adjust by adding some sand to overly clay-heavy soils. A home soil testing kit will help you check acidity levels, which may indicate the need nutrients from your local centre. 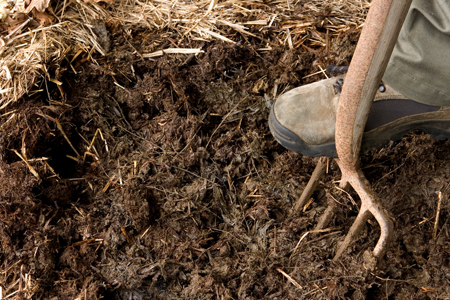 Then you need to feed the soil organic matter, such as compost, aged manure or peat moss, by working it in with a shovel or tiller. Earthworms and other soil life will work for you to break down valuable nutrients and your plants will thrive by feeding on the by-products, retained water and breakdown materials. The abundant life-force of your soil will have an accumulative impact on other lifeforms and wildlife in the garden. It’s free to make, feeds your plants, keeps weeds at bay and helps keep your carbon footprint at a healthy level. What’s not to like?! Find a small space in your garden, as far away from your hang-out area as possible, it’s not an entirely pleasant smell if it’s been neglected. Alternate layers of nitrogen- and carbon-rich organic waste, kitchen waste (no meat) and mix with soil and water. Alternatively you can purchase a rotating compost bin which will take out all the hard work for you. Top off with a few inches of soil and rotate the whole lot regularly. Like a healthy smoothie for your garden, a regular mulching will keep the weeds at bay and the soil in optimum condition. Get weeding done before you lay down a thick layer of mulch across your soil, as it decomposes it discourages the weeds from sprouting and nourishes the soil. Organic mulch should include materials such as chopped leaves, straw, grass clippings, compost, wood chips, shredded bark and pine needles. Not all gardens have sufficient soil space but that needn’t stop you. 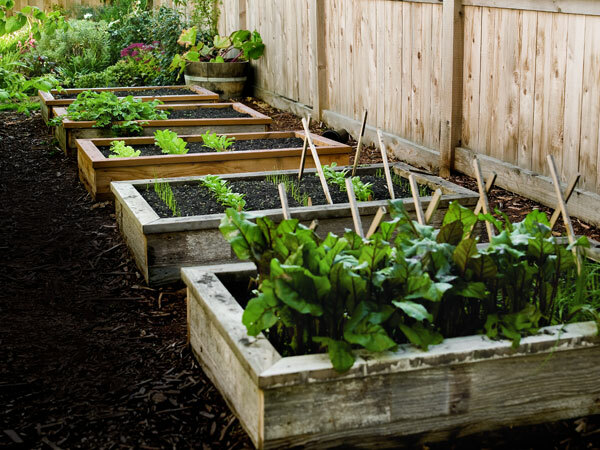 You can create your own raised bed with untreated wood, bricks or stone in any space in your garden, provided it’s at least 16 inches deep so roots have space to develop. Make sure your bed is narrow enough so you can reach the middle. Fill with topsoil and organic matter and give it plenty of water before planting. Often the part that puts beginner gardeners off as it can be relentless and back-breaking work. Chemical weed killers can kill off healthy plants and deprive soil of much needed-nutrients, so organic gardeners look to other methods. A small amount of weeds in a garden can be beneficial in terms of soil support and acting as a wind barrier, but give them too much rope and they will take over. Digging, mulching, flame-gunning and smothering weeds with newspaper all work well. Contact your local garden centre to see what seeds grow well in your area and current season. Some seeds may need to be started indoors first, depending on the time of year, but most can be started directly in your garden. Dig out a shallow trench with a hand trowel or garden hoe and make shallow holes for the seeds. Water lightly before placing a few seeds in each hole and cover with a thin layer of soil. Keep the top soil moist until the seeds have sprouted. Fruits can sometimes be easier to grow organically than vegetables as they tend to thrive even in poor soil and are less susceptible to diseases. The majority grow on trees which demand little attention. 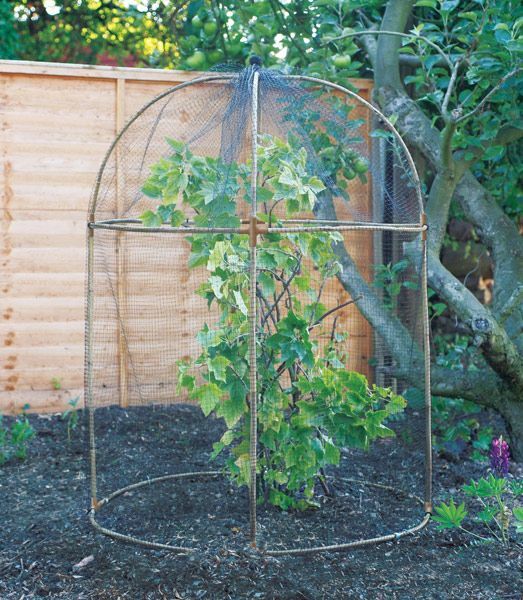 Currants and berries are best protected by netting to keep hungry birds away. Rotating your crop seasonally is crucial in preventing diseases from taking hold. If you keep planting the same vegetables in the same spot, time and time again, then bacteria and pests will only grow in numbers and strength. The same can be said for the vegetables taking too much nutrients from a certain area of soil, so plan to rotate your crops at least once a year and if possible don’t move them back to a certain spot for a few years. Before planting, check what native plants are best suited to your annual rainfall. A series of rain barrels and buckets can be an ecological way to collect water for you plants and save you trekking in and out with buckets or rigging up the hose. Watering in the early morning is best as it is cooler and there will be less evaporation. Plant vegetables and flowers together based on how much water they need if possible, so you don’t end up over watering certain areas. Digging small trenches between plant rows is an easy way to filter water down to plant roots. Don’t forget to plant some flowers in your organic garden, not just fruit and veg. They naturally attract the ‘good’ bugs that will attack the pests you don’t want. Flowers such as Daisies, Marigolds and Sunflowers are handy for this purpose and will add some lovely colour to your patch.